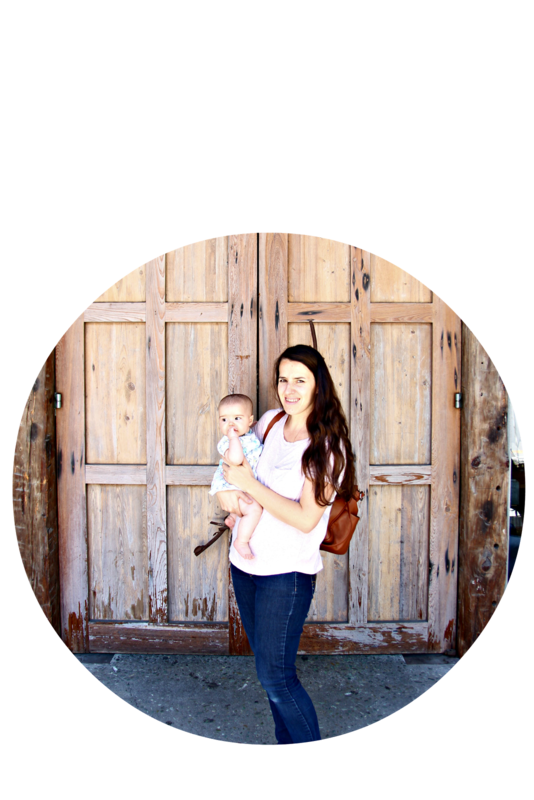 I have had a lot of moms ask me lately, "How do you find time to blog?" Believe me, I get it.The answer is that we all make time for things we enjoy. My family is my priority but I believe it's healthy for me to have some outlets that I can do from home. Do I balance this perfectly? No. But as I seek Jesus first I pray that everything else will fall in it's rightful place. Blogging is deceiving. There are some days that my husband takes all the kids out and I can bust out a couple of posts at once or I have a few that I am working a little bit here and there. There are also some amazing programs that I can schedule my posts in advance during the week; making it look like I wrote all week when I really didn't do anything. The thing is that I never want blogging to be something that people compare themselves to me by. I know it will happen because I do the same thing sometimes. The thing is, none of us has it all together, or does everything perfectly or has the same priorities. I think we can agree that comparing ourselves with each other is a common problem we all have. I was so excited to know that this post has resonated with so many and was recently featured at for every mom. I hope it encourages you as well to stop comparing yourself and look to the only perfect one as your example. When I first started reading mommy blogs I always wondered how these super mama's managed to not only make beautiful, time consuming homemade foods and body products, keep a perfectly organized home, homeschool a bajillion children and blog about it as well; all with a smile on their face and a great attitude. Though I was truly inspired and encouraged by them, I felt like I must not have it all together since I was barely able to get anything thing done throughout the day... let alone blog. Lo and behold here I am today...blogging and doing all those things I thought I could never do; though I only blog when I can since I have a 14 month old that is my siamese twin, have to homeschool two boys in grade school and a daughter in kindergarten, put food on the table and keep the house somewhat liveable...you get the picture! Since feeling led to start this blog I have a new perspective on life behind the blog. Though I try to be as real and transparent as I can, there are many things I can't always share or really don't want to. It's much easier to share my accomplishments and success rather than my failures and catastrophes. I love taking pictures of my kids, projects and recipes and try to make them look as nice as I can but for every picture I show there are 20 that didn't turn out right and lots of messes cleared out of the way to get at least one decent shot. Because who wants to look at dirty messes and failed recipes? There is also usually a lot of crying and whining in the background that thankfully you can't hear! Looking at other mom's (their homes and blogs) and comparing ourselves is unfortunately a part of the mommy culture, but it's not how God calls us to live. Somewhere on my journey as mom and wife I chose to stop comparing myself to everyone else. (though I still struggle at times) As mother's and wives we are all going to do things differently and have different priorities for our families. There is not a one fits all rule for motherhood. Yes, there are many times when I am not doing it right and neither are you, but that is a part of the learning and growing process. Sometimes we have to figure things out for ourselves and our families. I am so thankful for those wise mama's who saw me doing everything wrong and never told me, who gave me advice when I asked and encouraged me when I failed. When I start to think that I have it all together God quickly reminds me that I most definitely do not. On one such occasion this week God showed me how super human I am not. Read here. We all are going to mess up and fail; we are flawed beings. Yes, it's pretty depressing but let me encourage you dear mama with this truth...we serve a perfect Savior who is able to take a our messes and failures and redeem them and use them for his glory!! He has grace for us every day. Don't you feel better now? I know I do! It's so freeing to admit that we don't have it all together... but we serve the One who does! When you start to feel bad about all the things that you don't do right remind yourself of the things you are doing right! Your house may not always be clean but you let your kids make forts in their rooms. You may not blog but you are writing stories of joy, inspiration, encouragement and love on the hearts of your children, husband and friends. You may not always make gourmet, organic, homemade meals but your husband's and children's tummies are always full. You may not be be crafty or organized but you find your own ways to be creative and make the most of your time and home. You kids may not always be wearing clean clothes because you let them play in the dirt. You may feel like you are always an emotional wreck because you care so much for your family. You may not always have time to get all the laundry put away because you play with your kids when they ask you. You may not always act out of love and have the best attitude but you ask for forgiveness and humble yourself when you need to. You may not know how to teach math or english well to your children but you teach them about Jesus who does all things well! 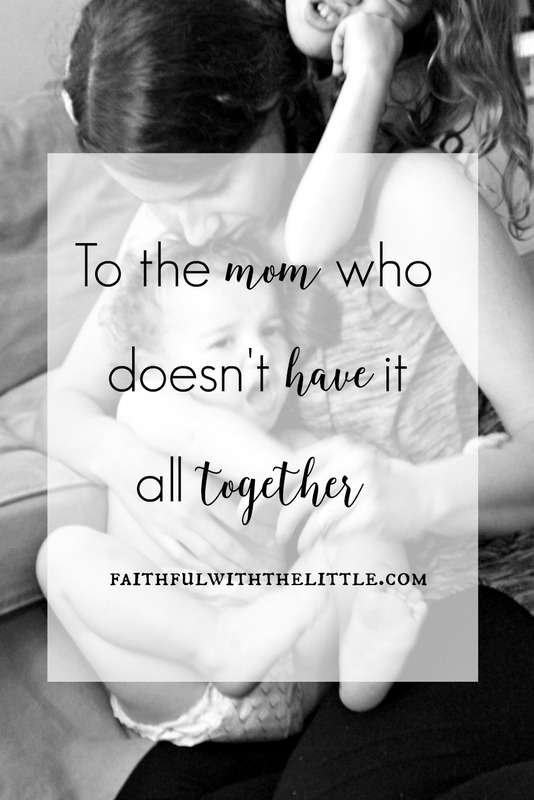 Do you ever feel like you are the only mama who doesn't have it all together or know what she is doing? Do you tend to view blogger mom's as superhuman and compare yourself to them? How do you keep your perspective and not get caught up in comparing yourself to other moms? Good thoughts here. I do think that bloggers (and all writers) are more susceptible to comparison just because our "output" is so measurable and our "opportunities" so fragile and few. I try to write what God brings to me, and to be thankful for the times when I see Him using me. He is faithful even in the desert. "When you start to feel bad about all the things that you don't do right remind yourself of the things you are doing right!" Great advice! I have to remind myself to do this all the time. It's so easy to focus on what you don't do and compare with others, but all that does is make us feel worse. To be happy about what we do accomplish and encourage others on their journey, rather than compare, is more conducive to a peaceful, happy life. :) Blessings! I'm visiting from #SocialButterflySunday. Such a fantastic post. The words I needed right this second, for sure. I'm sitting in a disheveled house trying to figure out how to spend time with my kids, get the blog post for tomorrow put together, cook supper, plan a birthday treat for my husband over the weekend and meet all the obligations I have made- and feeling like I'm losing my mind. Thank you! PS-- You are my featured post for 100 Happy Days tomorrow.